The Duke University Forward Campaign has been a huge success, raising over three and a half billion dollars to support meaningful programs at the University. Make an impact with your fundraising — but let us handle the print details, ranging from invitations to place cards! If you need 1,000 place cards, table numbers, organizational signs, and more for your corporate event, look no further. We are thrilled to share a snapshot of our work with Duke University for their Duke Forward campaign. 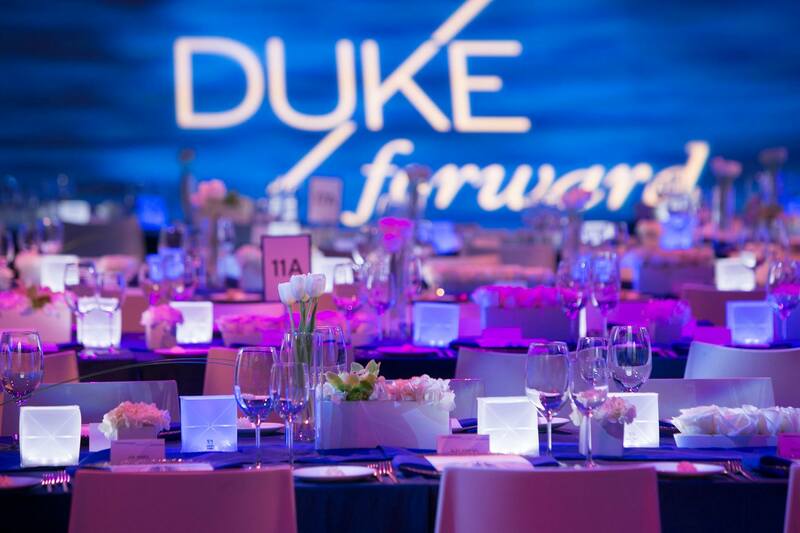 The place card design included the staggered-line logo for the Duke Forward initiative, while the table numbers focused providing clear directions for so many people to find a seat, with a large simple design and backing of Duke blue. 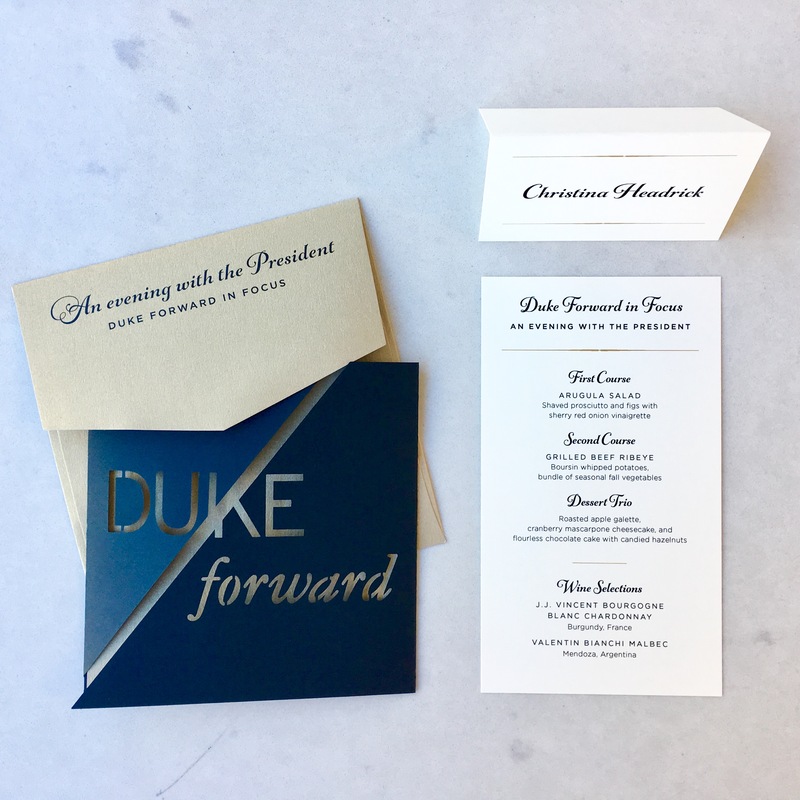 This dinner was the culmination of a yearlong invitation and marketing project to assist the university’s development team in meeting their goal to move Duke Forward. Over the year, we designed and printed thousands of batches of custom laser-cut invitations and many other details for the special events that were brought to cities all over the United States to promote the campaign. It’s been a great year, and we congratulate Duke on this amazing accomplishment. We are so happy to have played a small role in this effort.